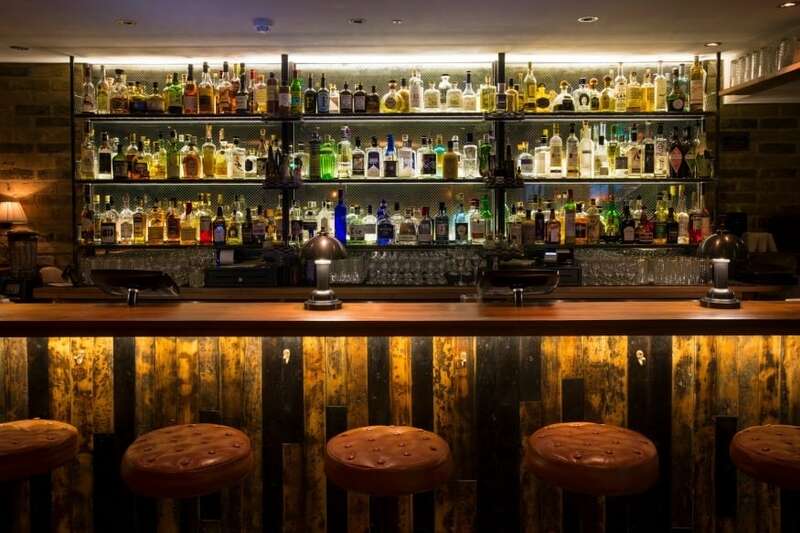 There are lots of cool bars in London, but choosing the right ones can be quite the pickle! Look no further, this list is a compilation of some super cool bars in London. So, if you’re out in Soho, chilling in Shoreditch, or hanging out in central then these spaces should be your top spot for something new when you visit London. London bars are some of the funnest in the world and these cool and creative takes on the traditional bar set them aside from the competition. If you’re looking for some of the best gay bars in London, then we’ve documented all of that for you too. If you’re looking for a cool and quirky thing to do in London then why not hit up Thirst Bar? An independent local late night cocktail bar in the heart of Soho – this place has everything. An intimate chilled space for quite drinks, a downstairs club with a DJ and a dance floor and a massive selection of great cocktails. Be sure to go and experience their famous ‘Stupid Hour’! It’s the perfect place in London for after work drinks and later on a boogie! Meltdown is an eSports bar in London, so, if you’re into video games this is the place for you. They have PCs along with consoles and you’re more than welcome if you play seriously or casually on their various platforms. Why not share a few drinks and play your friends at some video games? They also host tournaments and a place to watch eSports tournaments. Don’t shy away if you’re not a gamer however as there’s always something new and fun to learn while enjoying a reasonably priced drink. A unique and fantastic idea for a bar in London, Flight Club is a cool darts bar with an automatic score-keeping system (for all those bad at maths or had a few drinks). Enjoy some great sharing boards, delicious food, cocktails and shots while having a laugh with your friends or co-workers. While a lot of bars and pubs have darts boards, this place is truly unique and will not fail to keep you entertained for the whole night. A beautiful retro Polynesian cocktail bar this place let you feel like you’re on holiday. They have fantastic fruity cocktails paired with amazing Caribbean-style snack food. Head on down to experience one of their amazing Zombie cocktails or anything else that takes your fancy and see why it’s an award winning cocktail bar in London! London’s first ever arcade bar this place has a real place in our heart. A retro themed video games arcade bar serving a craft ale selection and a US-style grill menu will make you feel transported to your youth. For £1 you can get 4 US quarters to use on their arcade machines and play to your hearts content without a hefty price tag. It also featured a hidden cocktail bar and a club space underneath. This place has charm, fun and amazing events. Check it out! Self-described as London’s sassiest cocktail bar, Tonight Josephine is a picturesque cocktail bar in Waterloo. Check their website for a free cocktail and daily happy hour meaning 2 cocktails for the price of one! The aesthetic of this place alone is enough for one visit and their fantastic cocktails will keep you coming back. A bit of a quirky one, The Schoolhouse is a typical bar / pub in Battersea serving some lovely food all while being a school-themed venue! Take a trip down memory lane and relive your best moments from your youth while enjoying their lovely selection of craft ales. Daily happy hour and bottomless brunch and dinner options available. What’s not to love? A true Shoreditch wonder, Zigfrid Von Underbelly is a bar in London with everything to offer. A DJ bar, food house, lounge, party space, live music venue and underground club this place covers all bases. Check out their events they have on offer or just pop in for a lovely drink and enjoy the beautiful design of the place. This bar is comfy, cool and crazy! Award-winning pub in London, The Aeronaut, is a must see (and drink) venue when heading out for a drink in London. The eclectic design and entertainment makes for a night to remember. Enjoy the huge bar area full of comfortable furniture to sit in to savour the amazing food and drink or sit outside in an incredible heated garden in the fresh air! Head on over and see why it’s London’s best pub for yourself. An absolutely unique bar in London is First Aid Box, the concept ‘health, nutrition and doctors orders but with our own unusual alcohol based twist’. Their unique perspective and thrilling menu are just two of the reasons why this should be top of your list for a bar with something a bit different. Head on over and taste their award-winning cocktails to your heart’s content.